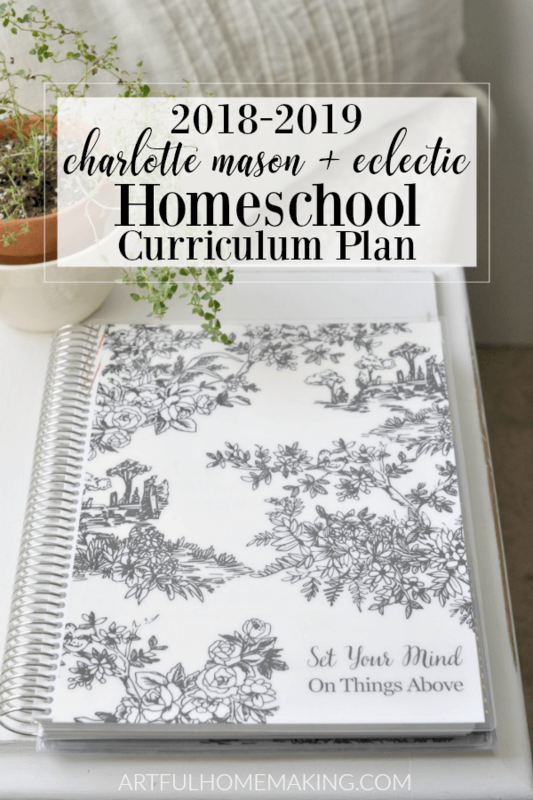 Our 2018-2019 homeschool curriculum choices. Every year I share what we’ve got planned for the coming school year. Here’s what we’ll be using this time around. I know I’ve been saying this pretty much every year for the past few years, but I can’t believe how quickly the time is passing! This will be our 16th year of homeschooling, my oldest has already graduated, and this year I’ll have my second senior. My other kids will be in 9th, 7th, and 3rd. I refer to grade levels loosely, because they don’t mean that much in a homeschool situation. I’ve included them just to give you an idea of their ages and levels. As usual, I spent quite a bit of time trying to figure out the plans for this year. I always have an idealistic plan for the year, even if I know it’s not going to turn out exactly as I envision it. This post contains affiliate links, which means I make a small commission at no extra cost to you. Read my disclosure here. 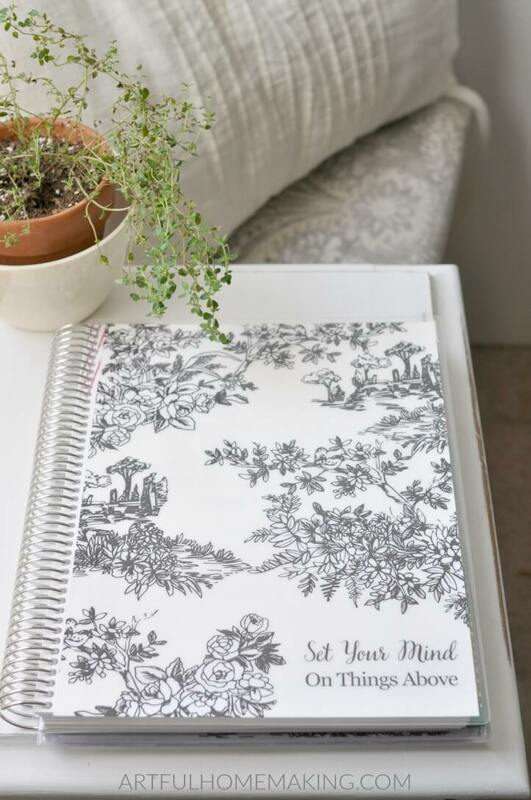 Here’s how I modify the Erin Condren planner to work for my homeschool planning needs. Usually I choose a bright and cheerful cover, but this year the toile design was calling to me. I love its simple beauty. The verse on the front is our motto for this coming homeschool year. In all the planning I did, my main goal was to bring us back to this. I love having it on the front of my planner as a reminder. The one thing I always love to do is to have everyone studying the same era of history. But having a senior, I found that to be impossible this time around. So, she will be studying world history while the rest of us study ancient history. She needed something fairly simple to use, since she has a somewhat heavy course load this year. 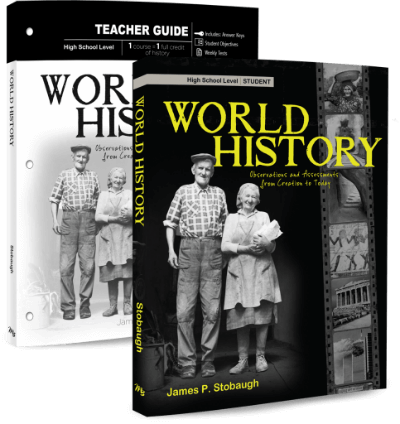 Together, we chose the World History set from Master Books. The rest of us will be using the Ancient History guides from Beautiful Feet Books. Last year we loved using the Beautiful Feet Books American History Guides (we used 3 different levels), so we wanted to continue on with them this year. They are so well done, and very easy to follow. My favorite thing about the Beautiful Feet guides is that they aren’t overwhelming to me. Something about the simplicity of the layout is just peaceful and feels right. I really loved the book selections last time around, but this time I didn’t really feel a need to focus so heavily on mythology. So, I’ve come up with some substitutions that I think will be a better fit. 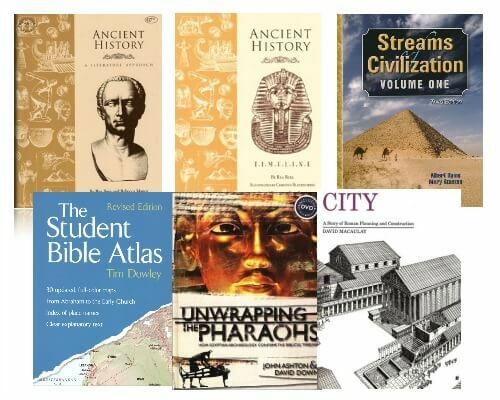 Some of these books were already on our shelves from previous history studies, and a few are new to us. I’m looking forward to another great year of history! For geography, we’re planning to use My Father’s World Exploring Countries and Cultures. We’re not going to be following this curriculum exactly as written, because we’re just going to be using the geography portion of it (except I am planning to follow some of the science ideas for my youngest). And we’re planning to skip the art and craft projects because I prefer to focus on handicrafts and we won’t have time to do it all. Earlier this year I found the teacher’s manual on eBay for a fraction of the usual price, which gave me a chance to look it over and decide how we were going to use it. 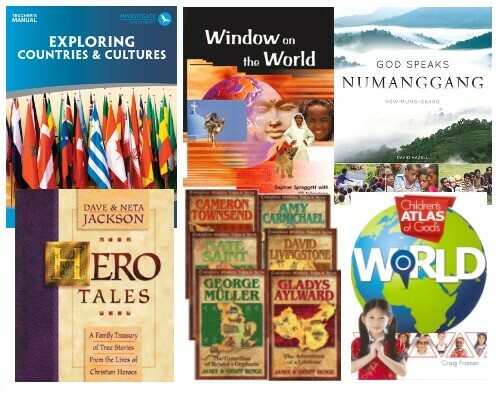 My plan is to read the Window on the World readings and the Hero Tales, missionary biographies, etc. But we’ll skip the worksheets and create our own journals or binders instead. In addition to ECC, we’ll continue to play with our Pin It! Maps (seriously, putting together these maps feels like play—love them still!) Read my review of Pin It! Maps here. For math, this will be our 6th year of using Teaching Textbooks. My oldest will be doing an Abeka Consumer Math course. I’m also hoping to continue on with some of the math games and activities we used last year with Right Start Math (for my youngest). For science, my oldest student will be using Apologia’s Advanced Biology course. 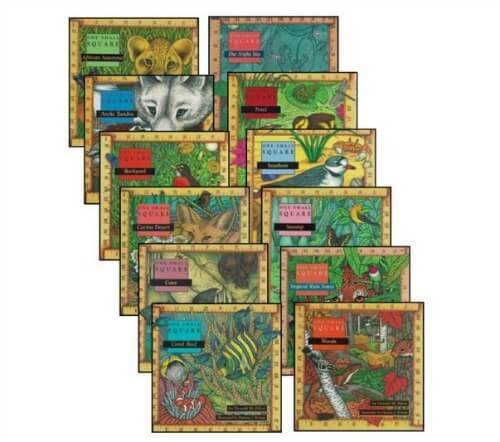 The next two children will be using General Science 1 from Master Books. 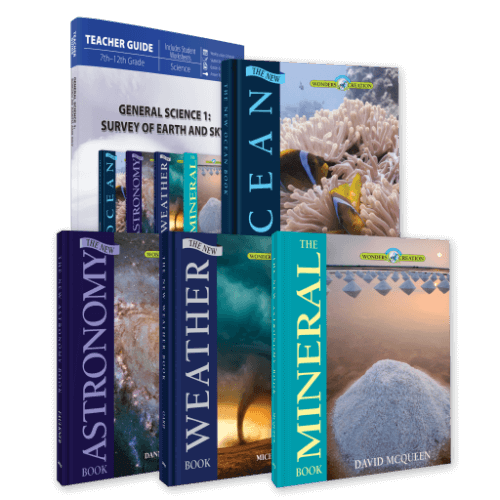 In addition to some of the science suggestions included in MFW ECC, my youngest will be using the One Small Square series of books and Planet Earth videos (we haven’t watched these yet, they were recommended to us by another homeschool mom). We’ve loved the One Small Square books for so many years (and have a collection of them), so I’m looking forward to using them regularly again. They’re some of our favorites. We’ll also continue to use our favorite Nature Study curriculum, Exploring Nature with Children. You can read my reviews of this program here and here. For writing, my three oldest will be using the Writing with Skill books and also some IEW. 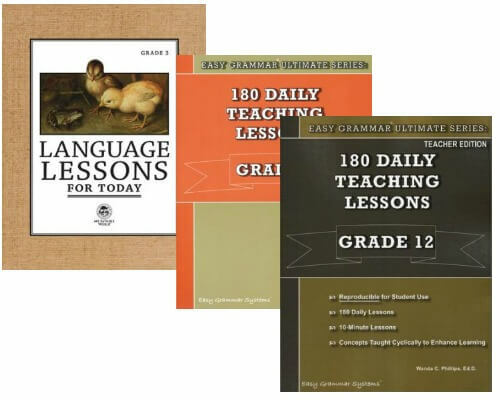 We’ve been using the Easy Grammar series for years, and when I considered changing things up this year, my kids protested. So, as usual, my older three will be using Easy Grammar. My youngest will be using Language Lessons for Today. Morning Time is something we’ve been doing for many years (only we used to call it circle time when everyone was younger). This is when we come together and focus on truth, goodness, and beauty. My plan is to fill Morning Time this coming year with Bible memory, poetry, art, and beautiful music. I have a list of Bible verses I hope to memorize together, and this is also when I plan to read aloud some of the geography resources from ECC. 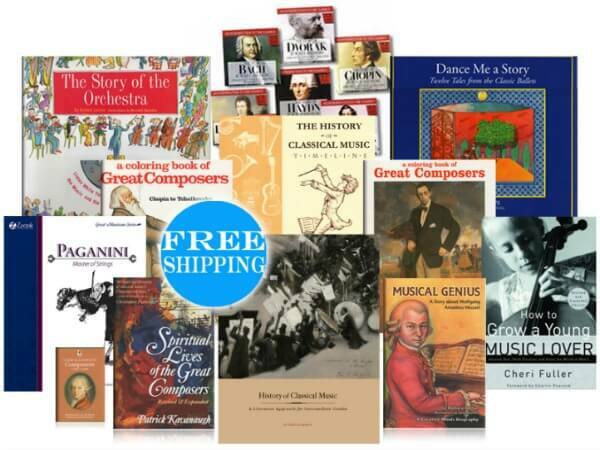 In addition to that, this year we’re planning to go through the Beautiful Feet Books History of Classical Music set. As I mentioned earlier in the post, I love the Beautiful Feet History guides, so we’re really looking forward to this one. My older daughter will be continuing piano this year, and I love it when she plays classical pieces for us. She has a love of classical music, so I think even my older kids might enjoy this! This year I’m hoping to focus on just one habit for the school year. After reading this book earlier in the year, I became convinced that one of the greatest habits anyone could possess would be the habit of verbally blessing and affirming others. I’m not sure if I would call it the “habit of affirmation,” or the “habit of praise,” but whatever we end up calling it, it’s something we need to work on. Imagine the transformation that could take place if we all had the habit of building up and affirming others! 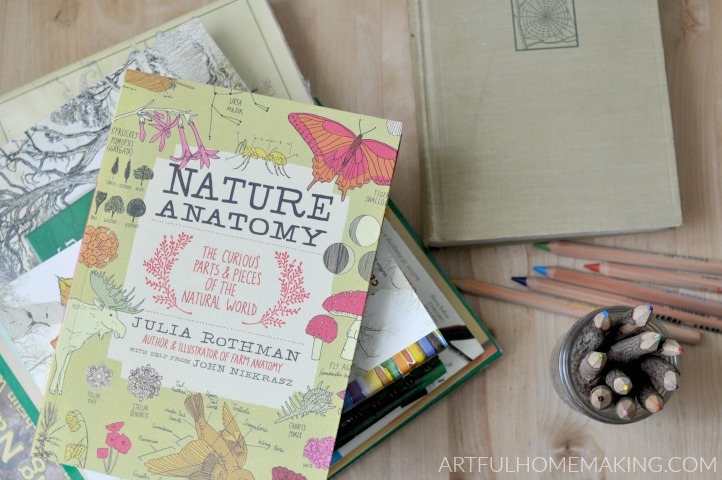 I hope you’ve enjoyed this detailed look into our homeschool curriculum for this coming year! I still don’t have all the books I need, but we have several packages on their way to us in the next week or so. Can’t wait to get them all organized! If you homeschool, I’d love to hear what homeschool curriculum you have planned for this coming year. Thanks so much for stopping by! 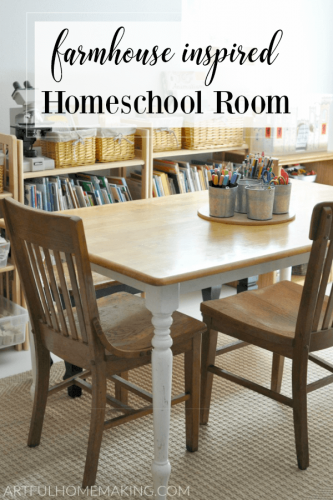 Come take a look at our homeschool room tour for this year! This post contains affiliate links, which means I make a small commission at no extra cost to you. Read my disclosure here. Sharing here. Nice to meet you, Ana! Sounds like we have similar curriculum goals. Hope you have a great year learning with your children! My name isJoy also!! I don’t hs, but I love to read about it!! And always wonderful to meet a fellow believer!! That habit of praising is going to make a huge impact on your kids, and family life!! I love Charlotte Mason’s educational philosophy. Anyone who loves books and education should be.